Not all Jewish people are alike; we come from many nationalities, ethnicities, and cultures yet we’re all connected by history and interestingly: genetics. To many, it’s not enough to say you’re “Jewish.” They ask where you are from, whether you’re Ashkenazi, Sephardic, Mizrahim, or the many other modern Jewish ethnicities. But where do these terms originate from? Ashkenazi is the modern phrasing for the word “Ashkenazim” meaning Jews from Germany. It was indeed the Jewish people that immigrated to Germany and Eastern Europe that are the ancestors of modern Ashkenazi Jews. Following hate and persecution, many relocated from Germany to Poland where much of common Ashkenazi culture originates from; including many customs and use of the Yiddish language. From Poland, groups spread to Russia and Lithuania and eventually the United States. Learn more about how Ashkenazi Jews invented the bagel here. Sephardic Jews are those whose ancestors migrated to Spain and the Iberian peninsula. While most of the modern day culture originated from these countries, much of the decor and architecture used by Sephardic people have historically been influenced by Arabic designs. During the Spanish Inquisition, most Jewish people in Spain fled and many come to reside in North Africa, Amsterdam, or the Middle East. Mizrahi people originated from the Middle East in countries like Iran, Iraq, or Yemen. Mizrahim follow a culture similar to the Sephardi and in some instances, “Sephardi” is used broadly to include Mizrahi Jews. While many migrated to modern Israel, large Mizrahi populations can be found in Los Angeles, California. Here is an interesting story written by an Iranian Jewish woman on how her people/culture helped shape modern Beverly Hills. Whether you’re Ashkenazi, Sephardic, Mizrahi, Beta or Bene Israel, etc., as a Jewish individual, it’s important to get genetic screening. There are a number of Jewish and non-Jewish specific disease that JScreen looks for, see a full list here. 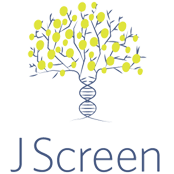 JScreen is a non-profit, community-based public health initiative dedicated to preventing Jewish genetic diseases. Headquartered in Atlanta at Emory University School of Medicine, the JScreen initiative is a collaboration among clinical geneticists, socially minded businesses, and nonprofits to provide everyday people with a ready access point to cutting-edge genetic testing technology, patient education, and genetic counseling services.